When it comes to self defense, you want to know you are armed with the best protection out there. 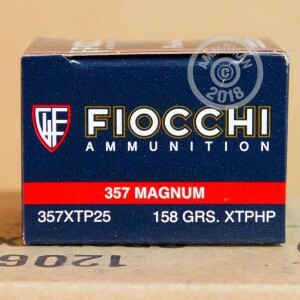 That's why you should consider these 357 Mag XTP JHP rounds by Fiocchi. Italian ammunition maker, Fiocchi, produces some of the best products on the market. Their quality and affordability is hard to beat. 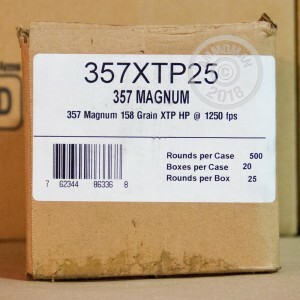 Each one of these 500 rounds contains a 158 grain jacketed hollow point XTP bullet. Hornady's XTP bullet has six folds to divide the bullet into even sections, helping to control expansion at low velocities while not fragmenting at higher velocities. As a result, you achieve deep penetration and reliable expansion with every shot. These rounds are boxer primed, brass cased, non-corrosive, and reloadable. 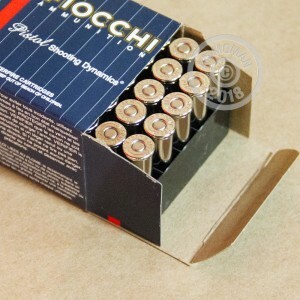 Since 1876, Italian manufacturer Fiocchi has been producing fine quality, reliable ammunition. You will be impressed with how affordable these rounds are, given their outstanding performance. Order your 500 rounds today and qualify for free shipping!